We all know soft drinks are terrible for our health; Even Coca-Cola has accepted a role in the rising obesity epidemic in the USA – albeit in the form of a fairly disingenuous ad campaign promoting their low-calorie products. One can of Coke contains around 10 teaspoons of sugar – enough to make me reach for the diet option when the (luckily rare!) craving strikes. Sugar is the diet demon of the decade, and all fear-mongering aside, it’s not great for our health. Research has demonstrated that between 1983 and 2003, a rise in sugar consumption was positively linked with the growing obesity problem in America. It’s certainly not the only contributor to rising obesity rates – in fact, in Australia consumption of sugar has actually decreased by 16%, even as obesity rates have steadily risen. Nevertheless, sugar contains no other useful nutrients for our bodies, and excess consumption is linked with a long list of conditions – including tooth decay, overweight and obesity, heart disease and diabetes – so it’s pretty clear we shouldn’t be overloading on the stuff. Consuming sugar-laden foods and drinks in place of others is an easy way to up your intake of empty kilojoules – a pretty pointless exercise, really! And then there’s ‘diet’ drinks. No sugar, no kilojoules, so they don’t count, right? 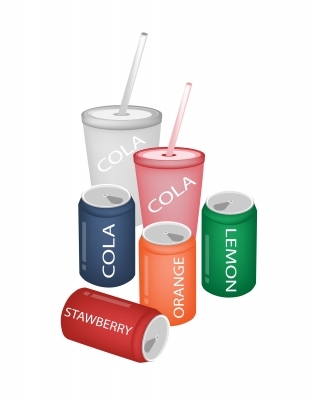 Artificial Sweeteners; the good, the bad and the ugly. 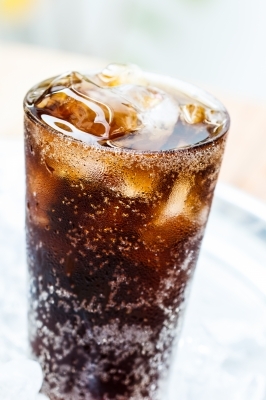 Let’s take a look at Diet Coke and Coke Zero, which contain two common sweeteners – Aspartame (known by the code 951) and Acesulfame-K (950). Although Food Standards Australia New Zealand (FSANZ) – the body responsible for governing our food system – supports and defends the safety of artificial sweeteners, many are unconvinced. Horror stories of cancer-causing, oxidative-stress-encouraging and weight-gaining capabilities have many in a tizz over whether or not these should be consumed in favour of the traditional kind, let alone allowed in our food system. Aspartame, the most common sweetener used, is an intensely sweet substance that entered the food market in 1981. Over 200 times sweeter than sucrose (sugar) and minus the kilojoules, aspartame is needed in much smaller amounts than sugar to mimic a similar sweet taste. Cancer Council Australia groups aspartame use in food under ‘unknown carcinogenic risk’ (a carcinogen is a substance encouraging the growth of cancer), however comprehensive reviews undertaken by FSANZ, the Food and Agricultural Association, the World Health Organisation (WHO), the European Food Safety Authority and The US Food and Drug Administration have concluded that this risk is negligible. The Dietitians Association of Australia share these views, and explain that negative results that have been seen in animal studies can be explained by enormous amounts of the substance being administered to the animals – far greater than would ever be consumed by humans. It seems the only population group at risk from the consumption of aspartame are those with the rare genetic disorder Phenylketonuria, in which the body can’t break down phenylalanine (a compound present in aspartame). Consuming aspartame with this condition can lead to a build up of phenylalanine the blood, hindering the transport of essential chemicals to the brain. This condition is screened for in infancy, so the likelihood of late onset is highly unlikely. So, theoretically, these sweeteners are safe, but are they ‘better’ for our waistline? The jury seems to be out on this matter. An 18-month trial conducted in the Netherlands on over 600 children aged between 4-11 sought to determine what influence drinks with either sugar or artificial sweeteners had on weight gain. 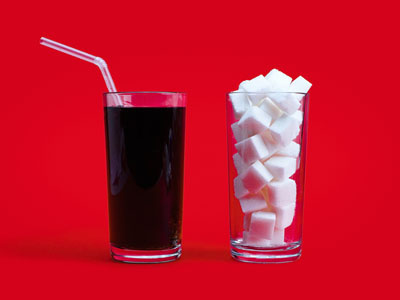 At the conclusion of the trial, it was reported that masked replacement of sugar-sweetened beverages with artificially sweetened beverages led to reduced weight and fat gain in children of a normal weight, indicating a win for the ‘diet’ industry. Other researchers see it differently – among them, American Professor Susan Swithers, whose theories on artificial sweeteners went viral this week. In essence, Swithers explains that consuming artificial sweeteners confuses our brain to the point of interfering with energy regulation, resulting in negative health outcomes. This is consistent with previous studies she has been involved in, which concluded that rats consuming Acesulfame-K (950) gained more weight than those consuming glucose. So what really is the best choice? Unsurprisingly, my best advice is to avoid all kinds of soft drink. They offer nothing nutritionally and all are associated with poor health, including something you may not often consider – damage to tooth enamel due to the high acidity. Another factor that significantly weighs against their frequent consumption is the caffeine content. Although seemingly harmless, caffeine has been deemed a ‘semi-addictive substance’, and a study carried out by a team at Deakin University concluded that extra sugar (or sweetener) is added to caffeinated drinks to reverse the dulling effect the substance has on sweet taste, which may be associated with weight gain. Sadly, on average an Australian adolescent male consumes almost a Litre of soft drink a day, a figure perhaps partly explained by the increased size of soft drink bottles, which have steadily ballooned from 200 to 600 millilitres in the past 50 years. 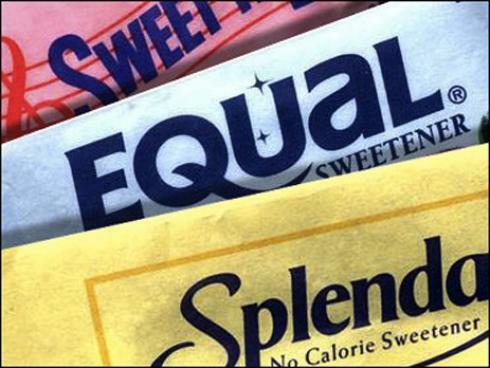 All in all, it appears that artificial sweeteners are safe. However, if their consumption makes you uncomfortable, drinking a ‘sugar-sweetened-beverage’ (as the scientists call it) every now and then won’t cause any long-term harm. 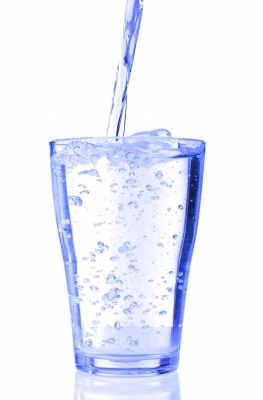 But choosing these regularly is sure to haunt you later on in life, and on a daily basis sticking to plain water is a much smarter option.